Elora Manzo is passionate about teaching others how to play music and hopes that she’ll inspire people to keep rocking on. 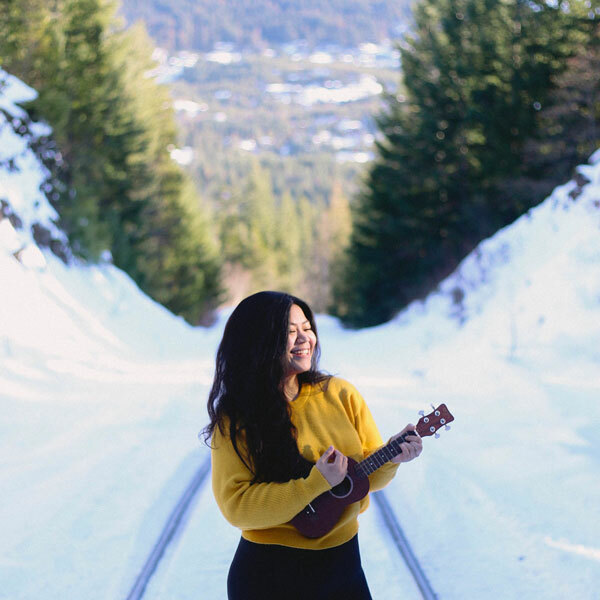 Her main focus is guitar and voice, but she also dabbles with the bass, piano, and ukulele. After studying music and theatre, Elora moved from California to Vancouver to pursue her career in Visual Design. However, her love for playing music never stopped. She still continues to play acoustic sets in coffee shops around Vancouver. Elora believes that the best way for her students to learn is through practice, patience, and fun. She also believes that no matter how old you are, it is never too late to learn how to play music.